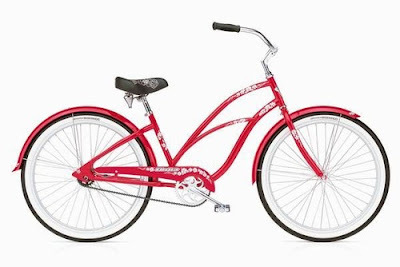 Following up on our success with other Electra models, we've just ordered the last Electra Hawaii 3 Red in the Country for our customer Catherine in Massachusetts. Catherine saw a friend of hers on the bike and fell in love, after searching online she found our site and gave me a call. After speaking with her for a bit and telling her we had one in stock she made her decision and wanted to order it. By the time we went forward with placing the order the one we had in stock was sold. Getting in touch with Electra we found they had one and only one left, we're glad to say it's now on a truck on it's way to us and from us to Massachusetts. Enjoy your bike Catherine, it's a beauty, and there's never gonna be another one like it! Whatever happened...to the Lake to Lake Trail?